I’m going to start this post out by saying that I don’t really think of myself as a writer. I mean, I do, but it’s not the only thing I define myself as, and not always the first thing I use to describe myself or what I do. But a lot of you have been asking me, especially whenever I do an Instagram Q&A, why I became a writer, or why I’m a writer, or what made me decide to come a writer. 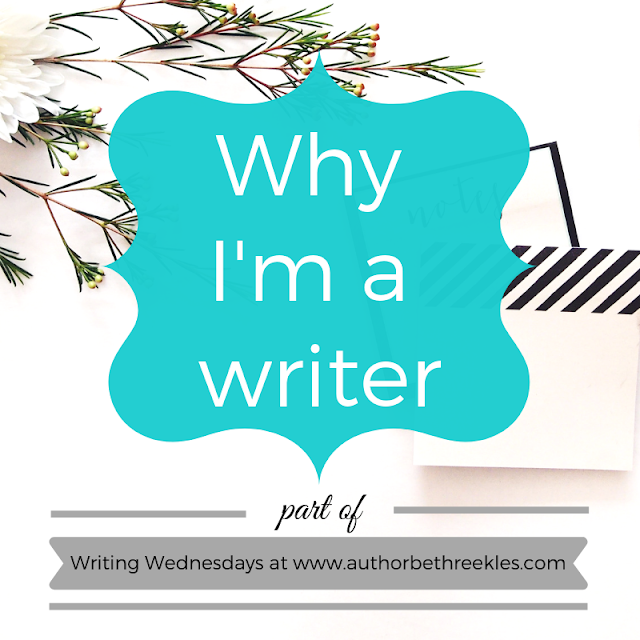 So in this post, I’m going to talk about why I’m a writer. What does it mean to ‘be a writer’? This is the first thing I wanted to address here. When I’m asked why I became a writer, what I think I’m really being asked is why I wrote my book, why I shared it, why I wanted to be a published author, and I’ll cover that a little in this post. But what I think it means is why I decided to write anything at all, and what drives me to do that. To me, being a writer simply means that writing anything – books, short stories, poetry, blog posts, whatever – is something you dedicate time to. I wrote recently that there’s a lot more to being an author than just writing a book. So before anyone calls me a hypocrite there, let me explain: I have this ‘division’ in my head when I think about my writing. My work as an author involves taxes, promotion, editing, and all that jazz. But when I’m writing? I’m just writing. Nothing else. I have always just… been a writer, I guess. I don’t know how else to explain it. I loved reading as a child, and I loved writing. Whenever we were given a writing project in English class at school, when everyone else had a page or two, I had five or ten. When I was waiting for Order of the Phoenix to be published, I wrote short stories of my own about Harry Potter. I wrote endless short stories. When I was eleven and moved up to comprehensive school, my parents gave me an old laptop to do homework. I used it to write. By 13, I’d written a 3-book fantasy trilogy, which I think totted up to around (I think) 400,000 words. It was terrible. But it was writing. Even during my third year of uni, when I told my agent I was taking a break from writing and not working on anything while I got my degree, I would be writing, doing little projects just for fun. Mainly fanfiction. I just don’t think there has ever been a time when I haven’t been a writer. 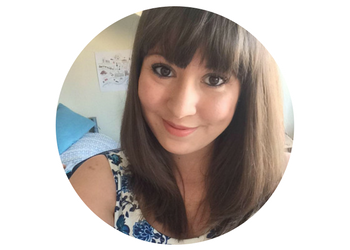 Just quickly, in this post, I’m also going to talk about why I love writing so much. Because honestly, I do. Like I said, it’s something I’ve always done – but because I enjoy it. If I didn’t, why would I be devoting so much of my free time to it? I always loved books. I constantly had my nose buried in a book as a child, and I still love reading now (even if I don’t read quite so many books anymore). I know that’s gone a long way to inspiring my passion for writing. But I love creating stories, even just for myself. Most of the things I write are never seen by anyone else, and I’m cool with that – because I’m not writing them for other people, I’m writing them for me. I always write the kind of book I would want to read. What about becoming a ‘professional’ writer? Again – there was no decision here. When The Kissing Booth started to get popular on Wattpad, I thought, wow, okay, maybe I’m actually kind of good at this. I realised people liked my writing and my stories. It was a huge boost to my self-confidence. To the point where I thought, maybe I could get this published. But I still didn’t go out and make a choice to ‘become an author’ – or even ‘become a writer’. I still didn’t think of myself as a writer even then. It was just something I’d always done. I didn’t know how to be any different, or how to not write. I got a three-book contract at age seventeen, a week after sending off my applications to study Physics at uni. Even when I got the publishing deal, I wasn’t thinking of myself strictly as ‘an author’. I was also going to be a student and then get a job after that doing… well, something. So... why have I ended up pursuing a career with my writing? I’m lucky enough (and if I’m trying to avoid using the work ‘lucky’, I'd say I have worked hard enough) that I’m continuing my career as an author, professional writer, whatever you want to call it. But again – that was much less of a decision, and much more: why wouldn’t I carry on? This was something I was going to be doing anyway, because I couldn’t help myself, and I loved it. Why not make it into a career if I could? It would have been a decision to become a full-time writer. It’s been a decision to not be a full-time writer. But just ‘being a writer’? That’s just something I am and something I have always been, and I don’t see it changing any time soon. So why am I a writer? I’m a writer because I can’t help but write. That’s it. That’s honestly all there is to it.